2 Beds 2 Baths 1 Partial Bath 1,261 Sq. ft. 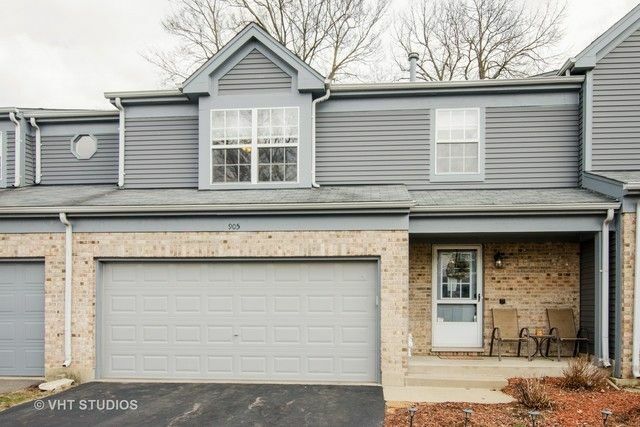 Spacious 2 story townhome in Algonquin.. Nicely painted 2 story family room with brick gas fireplace and new scratch resistant laminate flooring and sliders to the patio... Kitchen has ceramic flooring and stainless steel appliances.. Large eating area has scratch resistant flooring and newer light fixture.. stairway leading to the bedrooms is open and looks over the two story family room.. Professionally painted master bedroom is a nice size and has his and her closets and a cute window seat.. The shared master bath features two vanities and sinks.. Second bedroom is also a nice size.. Also a second floor laundry.. The home is on a crawl and has a newer sump pump and an owned water softener..Please remove shoes..